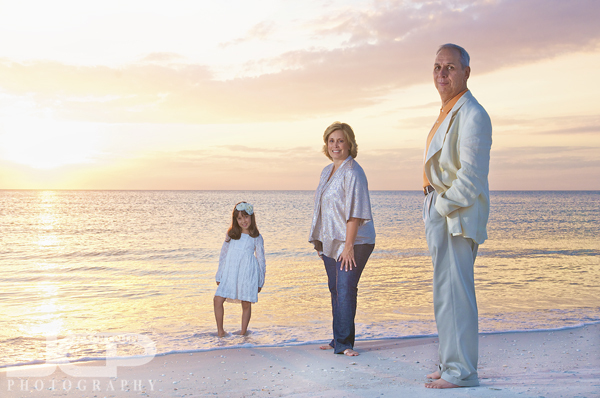 Juliana & family on Sunset Beach Treasure Island St. Petersburg - Nikon D300 Tamron 17-50mm @ f/8 ISO 200 1/100th Strobist: Nikon SB-800 Speedlight @ 1/4 power to frame left & SB-600 Speedlight @ 1/4 to frame rightRESERVE CANDID FAMILY BEACH PHOTOGRAPHY IN VIVID COLOR FOR YOUR FAMILY TODAY! It was very nice to see Juliana and her family again after having first met them last year when I photographed her 7th Birthday Party. At that time she was missing most of her front teeth, but this year her smile was brighter than ever. 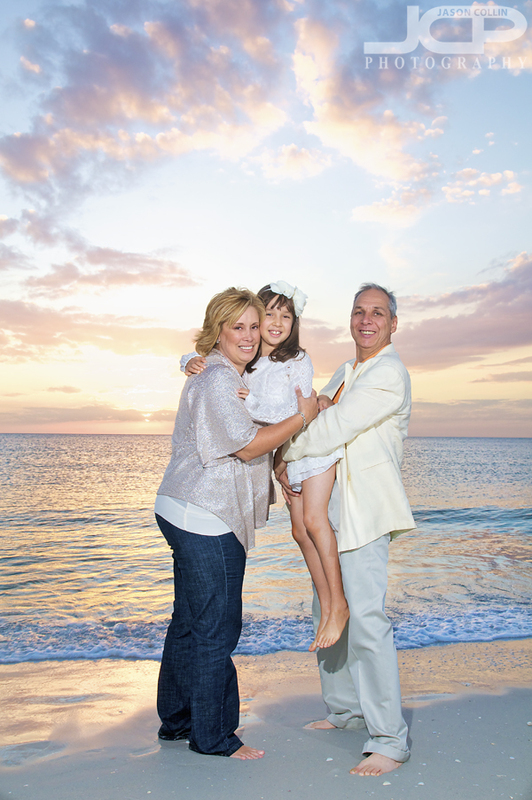 Mother Nature provided yet another stunning Florida sunset of the Gulf of Mexico to be our background for our candid family beach portrait session. 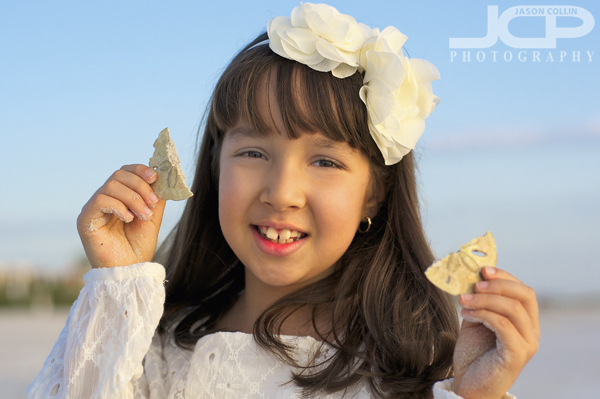 Juliana & a sand dollar - Sunset Beach Florida - Nikon D300 with Nikkor 50mm @ f/2.8 ISO 200 1/1600th natural lightWhen we first arrived at my preferred spot on Sunset Beach, Treasure Island Juliana found half of a sand dollar on the beach. Soon after she found the other half. That seemed like good luck to me so I thought the sand dollar halves should be in one of our photos. When you shoot in good natural light, as you can see, there is not even need for fill flash. 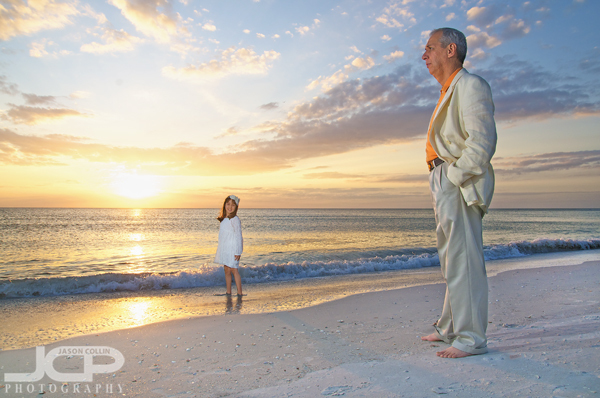 "Avant Garde" Father Daughter Beach Portrait - Nikon D300 Tamron 17-50mm @ f/8 ISO 200 1/100th Strobist: Nikon SB-800 Speedlight @ 1/4 power to frame left & SB-600 Speedlight @ 1/4 to frame rightJuliana and her father had kind of just wandered into these positions between shots. It caught my eye and I scrambled to get my lights in position to light both Juliana (far in the background) and her father (large in the foreground) before they could move. In the end I asked Juliana to look at the lens to produce the final image above. Father & Daughter Candid Family Beach Portrait - Nikon D80 with Nikkor 80-200mm @ f/4 ISO 200 1/320th natural lightI hope these photographs serve to illustrate that not every family beach portrait session attire needs to be white shirts and blue jeans. I suggested that Juliana and her family wear what clothes they feel they look their best in, although I think Juliana's mom had final word on her wearing that dress since she told me that was not how she dressed every day. Each with their own style - candid family beach portrait - Nikon D300 Tamron 17-50mm @ f/8 ISO 200 1/100th Strobist: Nikon SB-800 Speedlight @ 1/4 power to frame left & SB-600 Speedlight @ 1/4 to frame rightI always like there to be some clouds in the sky at sunset time as they add interest to the background by reflecting the rays of the setting sun. 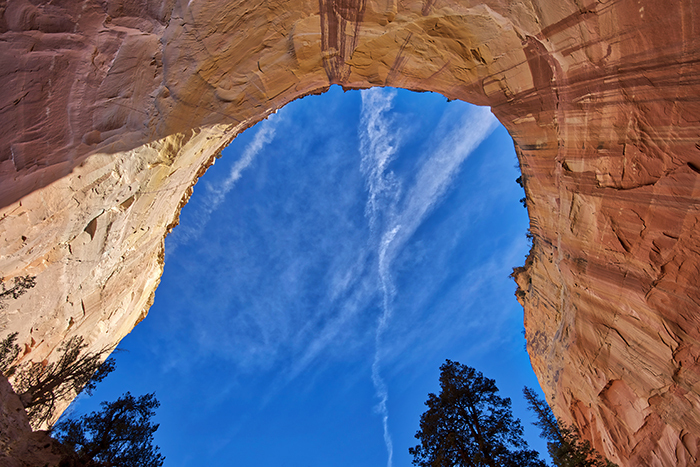 I once heard, "a cloudless sky is the enemy of the landscape photographer." I would not say that for beach portraits, but for sure I prefer clouds over no clouds. 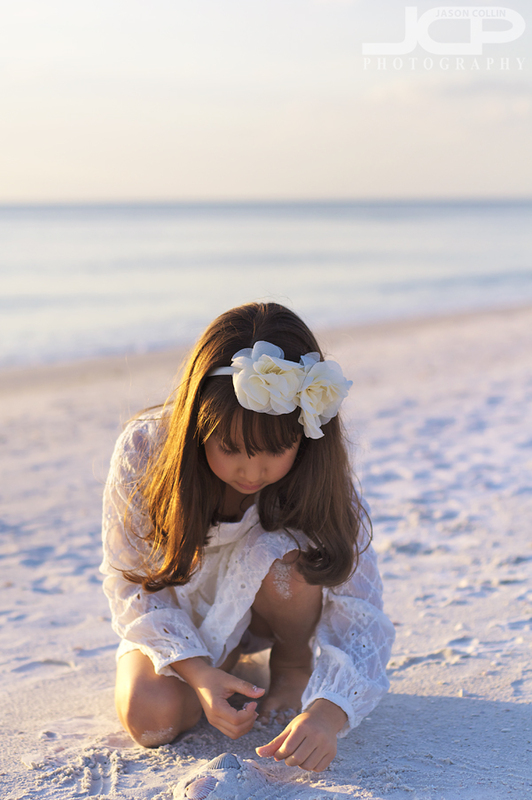 Candid little girl beach portrait - Sunset Beach Florida - Nikon D300 with Nikkor 50mm @ f/2.8 ISO 200 1/1600th natural lightI like to let kids do what they like during a candid portrait session as they are the types of photographs I like to make best myself. The feeling when shooting is totally different too. There is a certain tension in a photographer's mind that arises when having to position people for a shot, rather than the photographer moving about the subject freely shooting when instinct says so. Letting the setting sun dominate this family beach portrait - Nikon D80 with Nikkor 80-200mm @ f/6.3 ISO 200 1/200th Strobist: Nikon SB-800 Speedlight @ 1/2 power to frame left & SB-600 Speedlight @ 1/2 to frame rightFor the above type of shot one of course needs to use manual mode to make the exposure do what you want as aperture priority or shutter priority modes would not allow one to get the results as seen. Radio triggers for one's strobes are necessary too as I was shooting with a long lens not nearly close enough for Nikon's built in Commander Mode triggering method. Juliana is a natural model - Sunset Beach Treasure Island Florida - Nikon D300 Tamron 17-50mm @ f/8 ISO 200 1/100th Strobist: Nikon SB-800 Speedlight @ 1/4 power to frame left & SB-600 Speedlight @ 1/4 to frame rightJuliana is a natural model. The above pose was just one of like five she went in and out of in succession. It was hard to keep up! Of course when the subject feels comfortable in front of the lens and knows how to best position themselves, then it just makes the photographer's job all that easier allowing for more concentration on the creative part of photography. 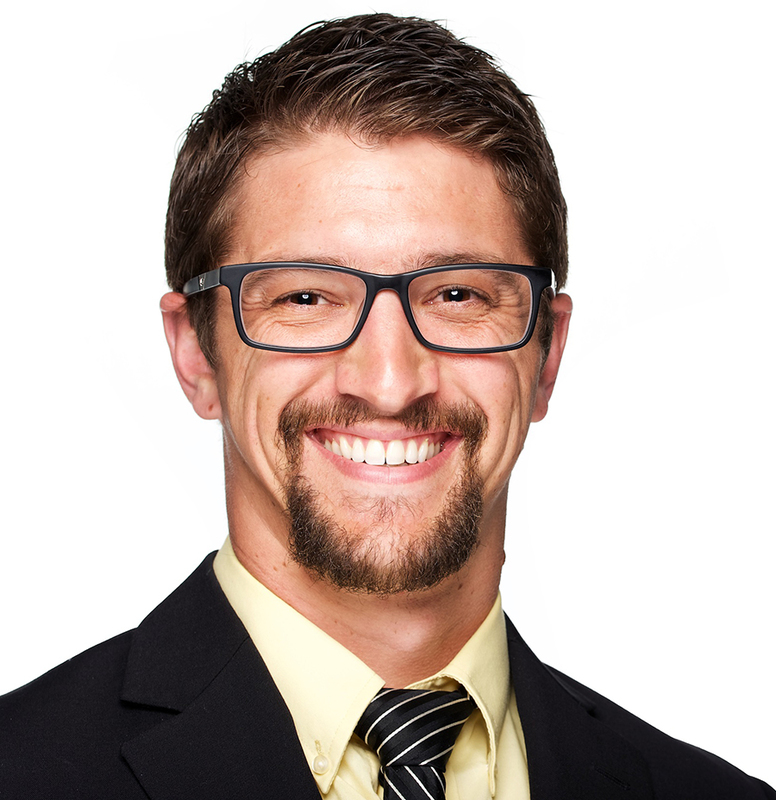 Also, you can see that I pretty much settled on f/8 ISO 200 1/100th for my strobist shots during this session. Once I get the settings I like dialed in, that also frees me to focus on just composition, etc. 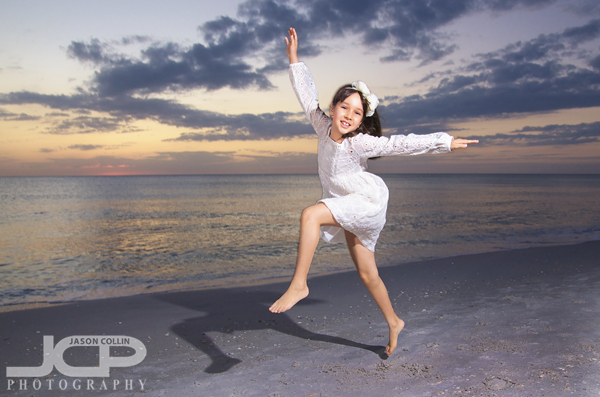 Juliana as ballet dancer at twilight - Sunset Beach Treasure Island Florida - Nikon D300 Tamron 17-50mm @ f/4 ISO 200 1/160th Strobist: Nikon SB-800 Speedlight @ 1/4 power to frame left & SB-600 Speedlight @ 1/4 to frame rightThis was the final shot of the night that required a couple of takes, but Juliana did her part very well! I forgot to ask if she takes ballet lessons or not. The first time I tried this staggered family positioning - Nikon D300 Tamron 17-50mm @ f/8 ISO 200 1/100th Strobist: Nikon SB-800 Speedlight @ 1/4 power to frame left & SB-600 Speedlight @ 1/4 to frame rightDuring this family beach portrait session I tried several new things, which is key to me, as I have done many of these types of shoots and I am always trying to avoid repeating myself looking to add if not entirely new shots at least variations. This time there were several totally new images, like the above staggered positioning from shore to water. It helps to have had a three person family. For sure at least having an odd number makes the composition work better. The better you know the people you are photographing the easier it is to produce satisfying images. 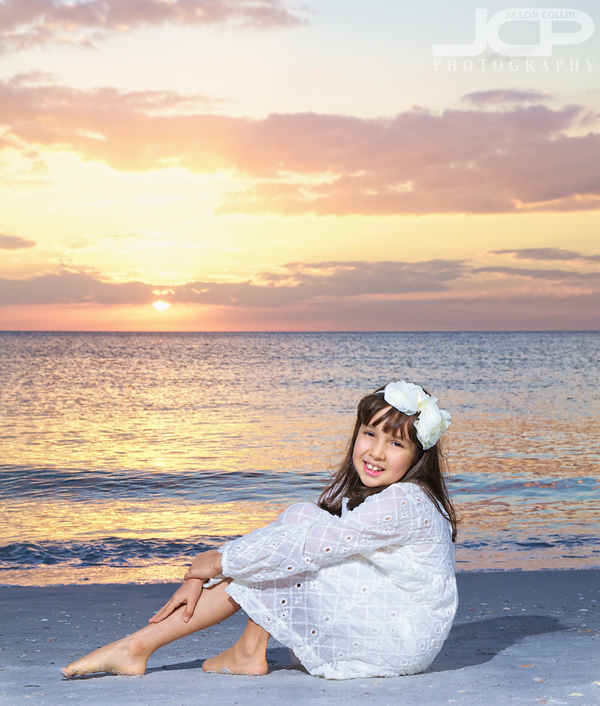 Therefore, it is not surprising that my second time photographing Juliana and her family was one of my all-time favorite family beach portrait sessions.